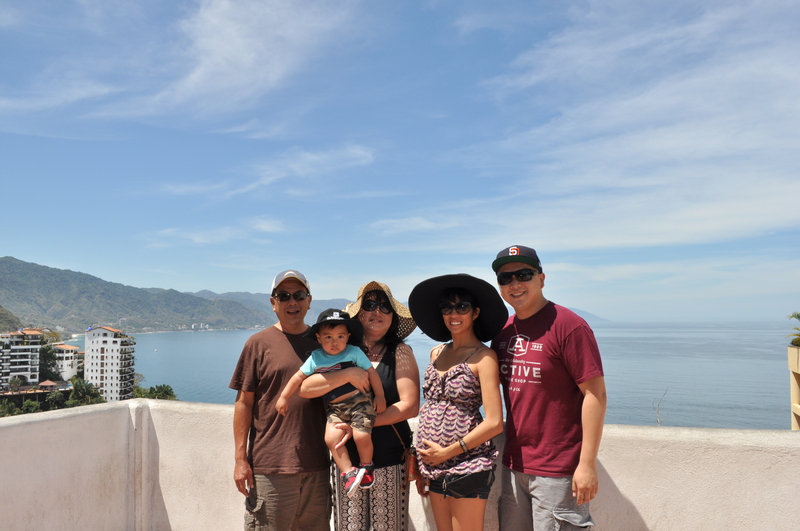 We just got back from our seven day Mexican Riviera cruise with Norwegian Cruise Line (NCL). I have to say I was quite nervous cruising with a 14.5 month toddler. We did travel with my in-laws, which was TONS of help! They actually bought this trip for us! It was my first time on a Norwegian boat. I didn’t have high expectations since my husband has cruised with them before and he didn’t think it was as good as others we have been on. It actually wasn’t as bad as I thought it would be. The shows and activities were on point and very enjoyable! The food wasn’t as bad as I’ve read in online reviews. But they do not change it up much and for seven days, one can get really tired of it! Diapers & Wipes. It doesn’t hurt to pack extra! You never know if your little one’s (LO) stomach will agree with the food he/she consumes on the trip. The NCL have diapers and wipes for purchase but it’s a ridiculous cost of $24/pack of diapers (all sizes) and $5/pack of 12 wipes. We brought two 29-pack of size 4 diapers and three travel size packs of wipes. Poo diaper bags. We forgot these and would have come in handy! Bath Towel & Wash Cloths. One thing we wish we brought was a pool towel hoodie/robe. It would have been nice to have him in one while sitting out on the deck while eating lunch after we went swimming. Swimming Diapers. We brought one per day. Pool Floaties. We actually forgot to bring his float and realized it when we actually tried to go in the main pool. Burp Cloths or bibs. We do not usually use burp cloths at home anymore but I’m glad I brought some. 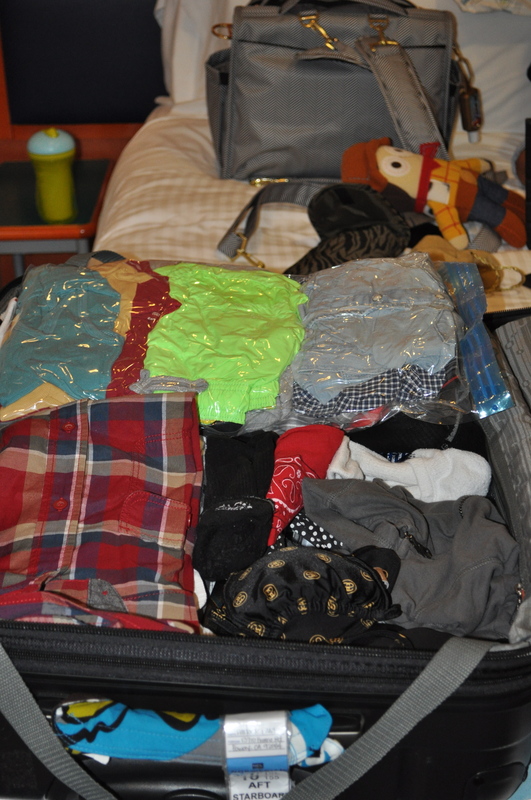 We brought our compression packer bags to stuff our clothes in. We didn’t want to travel with a ton of luggages. We were able to pack one large rolling luggage, a duffle bag, and a diaper backpack for the week! There is an optional formal night where guests wear their formal attire. They set up photo booth back drops starting on the second day within the Atrium deck for everyone to take pictures. It was fun dressing up and our LO was center of attention wherever we went that evening. Big brim hat. Shawn has a Quicksilver hat we bought for our Hawaii trip and love it. It shaded his face and neck better than other hats he has. Stroller. We made a mistake and left our Uppababy Vista and brought a light weight stroller without an umbrella! When we got to Cabo, Shawn was so hot! If you bring a lightweight stroller, make sure there is an umbrella/shade cover attached. Carrier. We brought our Ergo but didn’t use it at all. Our LO recently learned how to walk so he doesn’t like to be in the Ergo anymore but wanted to bring it in case we did need it. Pillow case & blanket. We did bring a pillow case to put over one of the pillows provided in our stateroom because our LO sleeps better with his pillow (I think he likes the smell of his detergent). We also brought one of his Aden + Anais blankets since it was lightweight and larger than his other blankets. Sippy Cups. We brought a straw sippy cup for water and a take and toss sippy cup for his milk. Antibacterial gel & hand wipes. The cruise ship is filled with antibacterial dispensers and crew members with spray bottles standing at the entrance and exits of the buffet and restaurants. I brought a travel bottle and wipes for when we were out in Mexico. Passport. Suggestions from other mommies that cruised and/or traveled to Mexico, we opted to get our LO a passport. Mexico only requires a birth certificate but, again, it’s better to be safe than sorry! Bottled water. Bring a case of water and slap a luggage tag on the case! It will be sent up to your stateroom. The cups at the buffet are so small, you’ll need 5+ cups to bring up to your stateroom to be content for a nights worth. We brought a 24 pack and ended up finishing the entire case. They also allow you to bring soda (as long as they are sealed). Walkie Talkies. These come in handy when your party have split up on the boat. Toys. We brought Woody from Toy Story, a small Mickey Mouse doll and a Leap Frog cell phone toy. iPad. We bought our iPad loaded with his favorite movies to keep him occupied when we were getting ready in the room. Embarkation. Holy cow! It’s a mad house! Even though you check in online, you will need to stand in line to check in again. This is because they will take your picture and give you your room key (which also serves as your credit card and to embark/disembark to/from ports). Plan to also wait in another line to board the ship Once you check in, be sure to ask where to wait and if you need a number to go in. We weren’t given a number but was told to wait in the back. We interpreted this as “wait in the back of the embarkation line” to board the ship. Once we got to the front of the line, a crew member asked us for a slip with a number on it. We didn’t have one and a few other cruisers behind us didn’t either. Needless to say, people were upset. They had us wait in the waiting area until “general” boarding was called. I don’t think going early will help because they don’t let you on the ship until a certain time in the afternoon. See embarkation times on your edocs. Bring snacks, water and/or milk, and toys or an iPad for the LO to help entertain them while waiting. a mini fridge. We took out all the contents since there are no sensors and filled them up with the water bottles we brought. two small beds pushed together to make a queen size bed. We pushed the beds to the corner of the room that way our LO won’t fall off the bed in the middle of the night. a bathroom. The shower has the hand held shower head that will be so helpful to give your LO a bath! Bring some sort of inflatable tub or tub mat. We used a towel and placed it on the floor of the shower to give our LO a bath. a clothes line in the shower. We hung our wet swimming suit/shorts on this to dry. an extra bunk that you can pull down from the wall. a small table and a chair. Baby Changing bathrooms. We only found one on the boat, which was next to the buffet. The first two days, I carried around the diaper bag with diapers, wipes and a change of clothes. But we found that bringing the LO back to our stateroom for diaper changes was more convenient since there was only one bathroom with a changing station. Small milk cartons (whole, 2% and chocolate) are only out during breakfast. We would take two cartons up to our fridge to give our LO if he wanted milk before or after his afternoon naps/bedtime. They also have a milk machine that is accessible all day. Bananas, cereal and yogurt are only out during breakfast. We took one a day to our room for emergency snacks. Cheerios: we brought a box or two up to our room. We brought these to the shows, in case the LO gets bored and fussy and needed some kind of distraction. If your LO has any allergies, be sure to contact the cruise company to try to accommodate your family. We filled up our LO’s straw sippy cup with water and ice whenever we passed by the buffet. Kids’ Activities. 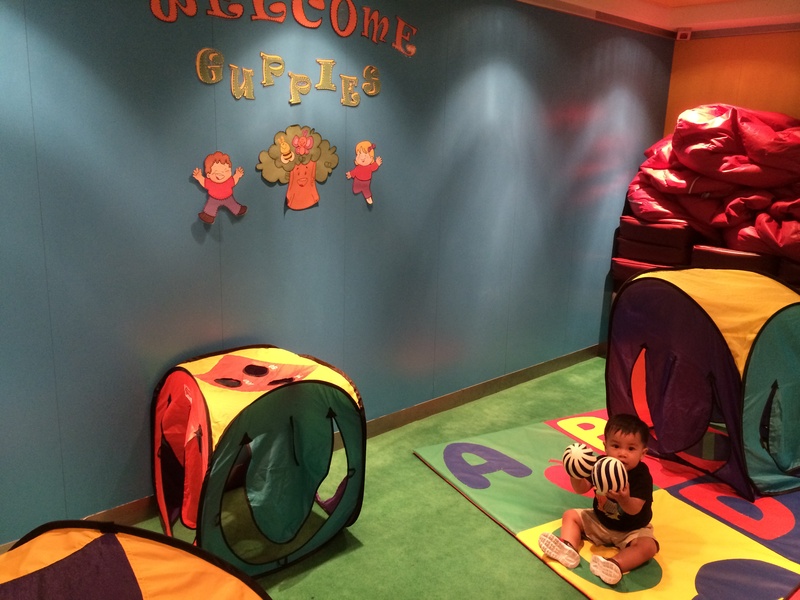 They offer activities and a play room for LOs 6 months – 3 years old (they call this age group “Guppies”)! I thought they only offered these programs for older kids. When you first get into your stateroom, they provide an itinerary based on your LO’s age. We were able to join in on the group activities when Shawn was not napping. There are usually two group activities a day. The play room is accessible all day with toys, books, and a paper taped on the wall for the LOs to color on. It was nice to take Shawn in there and chat with other parents and tire the kids out before their naps! No babysitting services. Fortunately, we had my husband’s parents with us so they were able to watch the LO a couple times that week in the evenings. It gave my husband and I a chance to enjoy a late show or the ship’s night entertainment. Kids’ pool. This pool was located in the back of the ship. The Norweign Star’s kids’ pool has one hot tub, a small pool with a baby slide, a main pool, two larger kids’ slides, and two showers. If you don’t plan to disembark the ship at the ports, these pools are empty! 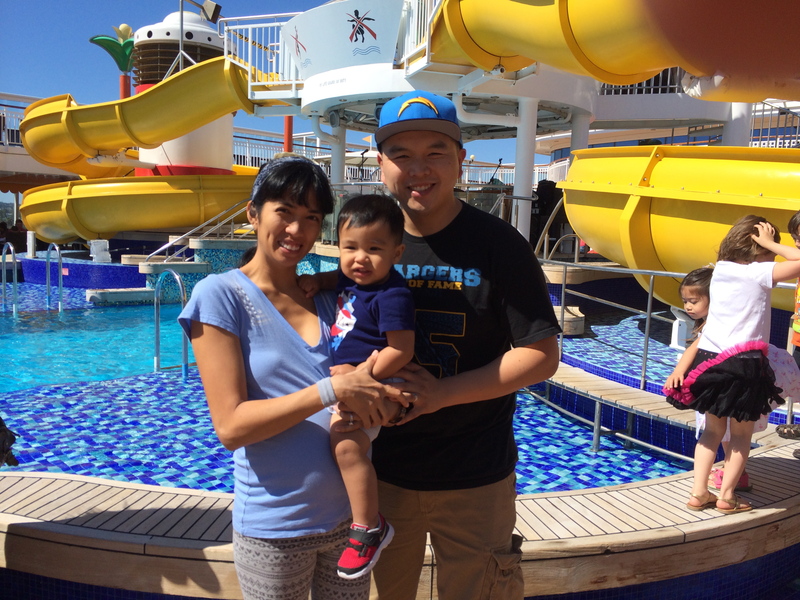 We were able to have the pool to ourselves during one of the ports. Dining rooms. The NCL does not have set dining times like other cruise ships I’ve been on. They have a bunch of smaller dining rooms and allow you to go at your own schedule (some restaurants you have to pay for and some you don’t). They have televisions throughout the ship to display how fast the dining rooms are filling up to help you schedule out your evening. Out of the seven nights, we only dined in these restaurants three times. High chairs are available. Port days. I wanted to make sure our LO ate a big breakfast on the boat before going down to the ports. It also helped that his poo schedule was still on his normal schedule and he was able to do his duty before leaving the ship! You cannot take food off the ship but we did take a sealed water bottle or two down with us. Cheerios would of helped too but we didn’t bring any. Poopie diapers. One thing we forgot were the little blue scented bags for poopie diapers. The housekeeping’s schedule is usually in the morning (9am-ish) and during dinner hours (5-6pm-ish). So when our house keeper was in the hallway, we threw out the poopie diapers in her larger trash bag. Sick toddler. Yep, Shawn caught a cold the last three days of the cruise! I guess it’s inevitable since he started walking, touching everything that he passes by, and sharing toys with other kids at the Guppies’ play room. It was also very hot at Cabo and when we got back on the ship, the air conditioning was on blast. Luckily we brought medicine, saline drops, an aspirator, and Vicks babyrub. I wish we had a humidifier! But my husband did the next best thing, he turned on the shower and let the bathroom heat up and held our LO in there for a few minutes. Disembarkation. We opted to do the scheduled disembarkation, where they collect your luggage the night before and you choose the time you would like to pick up your luggage at the port (colored luggage tags are provided). We were able to enjoy breakfast at the buffet for the last time and not worry about lugging around luggage around the boat. Once the captain announces the luggage tag color, we were able to disembark the boat, go through customs, and pick up our luggage at the port. It was much smoother than the embarkation process. It was such a fun trip! 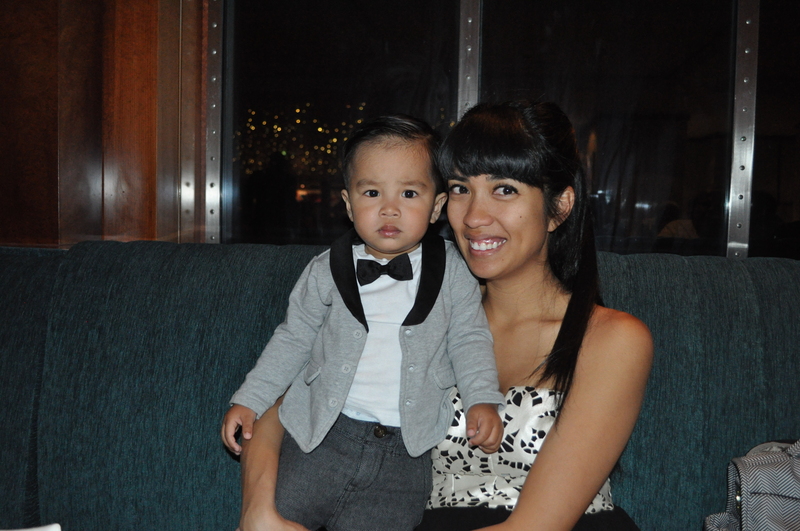 Seven days on a boat felt really long with a LO, especially when the last three days he wasn’t feeling 100%. 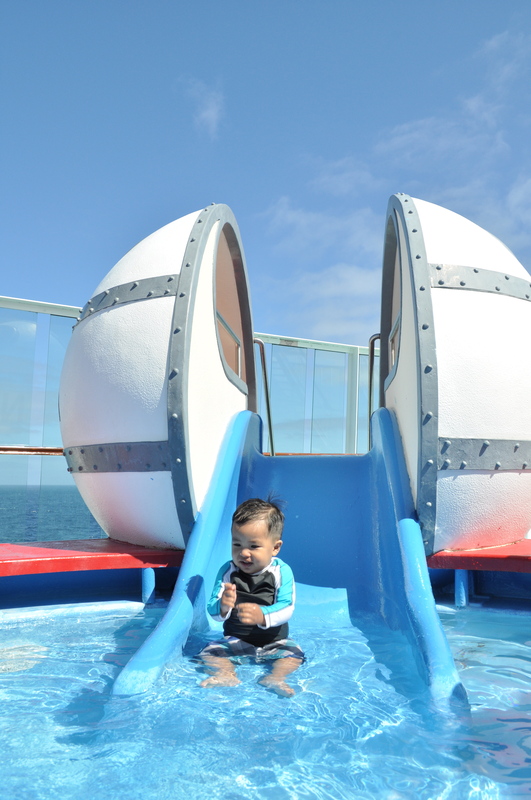 Cruises are such a great vacation idea when traveling with children because there are so many activities they can do on the boat and there’s unlimited food! Big THANK YOUs to my in-laws for the wonderful trip they planned for us. We are excited for more trips in the future but with two kids! yikes.